After spending the last two weeks totally writing off Occupy Wall Street, the long-term protest that's been lingering in Zuccotti Park, I finally took notice today. I'd been, like, 13 days, and instead of tragically petering out, it seems to have picked up a bit of support and momentum. I was surprised to hear that. And then today, there was a rampant rumor that Radiohead would be playing, which drew about 3000 people down to the site. It was false, unfortunately, but it certainly escalated the phenomenon by some orders of magnitude. If you're on this leftish side of the political spectrum, it seems to be worth getting agitated about. There are widespread claims that they're incomprehensible, they have no solid platform or reasonable goals, and they really just seem like a bunch of hippies out to make a laughing stock of liberals. Those are reasonable criticisms, but they ignore the emergent truth of the protest... that it's not about particular short-term goals, or about one particular issue with a particular event, election, or injustice. If it was one of those things, it would have a clear victory condition, and it would probably have been pitifully narrow and ineffective. Crowds of chanting people don't overturn convictions or get new legislation approved. That, ideally, is the job of those politicians we all elect. But we can maybe read a different philosophy, a different victory condition, into this whole thing. The possible positive force here -- the one thing a protest like this could potentially accomplish -- is that it reframes the political conversation. This is something that, on any given day and for any given person, is absolutely impossible. No matter how much you blog, you'll either be considered a tepid moderate or a radical twit. And because it's impossible for one person, it's often seemed, in the last decade or so, that it's impossible altogether, as if the tone of national conversation moves according to some supernatural logic (and anti-logic, sometimes). Who proved this wrong? It was the goddamn Tea Party. The Tea Party emerged spontaneously and kept repeating its anti-government message, and this thread of conversation has totally overtaken the national political discourse. The excitement got those conservatives elected in the midterms, and it's created a marked upsurge of libertarianism, both as a political loyalty and as a theme in the wider conservative platform. It's a movement that still has legs, and as it's taken over the whole discussion, the left has lost its enthusiasm, stalled out, and started suffering a string of minor frustrations: its disillusionment with Obama's superpowers - the special elections - the Wisconsin recall vote. And I think the reason we don't seem to get breaks is because we've lost a foothold in the national conversation. So that's where this protest has promise: it's bringing new visibility to a discontent, vocal partisan position that has been marginalized in the national discourse for too long. When this is your criteria for assessment, it doesn't matter if there's a list of concrete demands unifying your movement. All that matters is that there's enough philosophical overlap, enough shared spirit, that it can legitimize more talk, more action, more voting and legislating. Those claims of "disunity" and lack of focus were valid, back when it seemed like this OWS movement might just peter out. Creating momentum with such a broad base, without any particular incident to incite anger, is REALLY difficult. But the OWS protests have actually cleared that initial hurdle. Now they need to build this whole thing into as large, as global, as visible a sentiment as possible. They need thought leaders and political advocates to see that a serious leftist perspective is legitimate. They need them to sense a serious political force in the left, and they need them to try to mobilize it. They need them to see that the spirit of leftism isn't dead. Still, this "movement" thing is at a precarious place. After the numbers swelled this evening, and the TWA union joined the protest, they all decided to march to the NYPD HQ as a protest against police brutality. Now, I know this is a convenient way to drum up defensive indignance among activist types, but come on -- this protest is about the bankers' excesses and the politicians' collaboration. It's not about police brutality or the legitimacy of the rule of law. The police officers are public workers being squeezed by the political environment, and they could make powerful allies. I hope the protestors -- especially the General Assembly -- take this into account, and make this "march" as much about solidarity as it is about confrontation. The last last LAST thing this protest can afford to do is to alienate the middle class and moderate America, both on the left and the right side of the partisan divide. The fastest way for the movement to crash and burn will be: 1) to start railing about leftist issues that have no large-scale traction (i.e. pro-Palestine, PETA, etc); 2) to ignite tensions with working Americans and public employees; and 3) to allow any hint of violence into the conduct of the protest itself. If you want to know if it's still going on, feel free to check out the Live Stream. The momentum may surprise you. Winter's Bone takes place in the Ozarks, in a part of the country that's apparently entirely consumed and thinly supported by the business of meth production. Protagonist Ree Dolly discovers that her father put up her house as bail bond, and if he doesn't return for his court date, the family will lose the house. She goes out to find this absent father, the truant Jessup, approaching her neighbors, and then her best friend, and then his brother Teardrop; everywhere she goes, she meets a reticence born of desperation and fear of reprisal. In this social environment, everybody has their own problems... their self-defensiveness, their resistance to getting involved in anyone else's troubles -- a sort of enforced, frozen-over apathy -- is palpable. This is partly because in this part of the world, each person's personal problems are mountainous, unrelenting, and insurmountable, and taking responsibility for someone else's struggles? Practically suicide. It doesn't take us long to realize just how alone Ree Dolly is. She may have her little siblings and her infirm mother to keep her company, but she has nobody to depend on except herself, and you can see it in her taciturn manner: she has learned the stoicism required to survive in an economy of strict scarcity. Yet, despite her solitude, Ree is an operator. Aside from survival techniques, she also knows the rules of the community, the boundaries that she's expected to respect, the laws of loyalty, the hierarchies she's supposed to recognize. Winter's Bone is, essentially, the story of Ree deciding to break these rules for the sake of her family's survival. Like Sling Blade, this is a story of a member of a community who lingers on the margins. Ree uses her insider understanding to accomplish an outsider's goal: to unearth something that's been buried by the community, so that she can pacify the seige of the law before they destroy her life. Each time she meets a barrier, Ree transgresses it -- carefully, gently, but enough that she upsets the balance. Her refusal to leave Thump Milton's farm after the first warning from Merab is her first serious transgression, and she follows this up with more trespasses. At every step of the way, she finds obstruction, and in the face of each obstruction, she breaks a rule or two... often her own. So like Karl from Sling Blade, Ree is an insider with an outsider's agenda, alone amongst her own kin. However, there the similarities end. The laws in Karl's life are explicit, products of honesty and transparency. He lives by the code of the bible and by the ethos of Dr. Jerry Woolridge, and when he has a moral intuition, he states it plainly. In the Ozarks, on the other hand, the rules are opaque and absolute, tacit but strictly enforced at every step of the way. They aren't a transcendent code of conduct; rather, they're the products of a rigid power structure and a deeply-embedded community. This opacity, this inescapable power structure, makes Winter's Bone less of a folk tale and more of a neo-noir, a crime story where bare trees and empty meth labs stand in for city streets. Ree is navigating a labyrinth of motivations, balancing the power claims of many characters, and she only succeeds by playing them against each other. If she hadn't ignited some latent passion in Teardrop, she might never have attracted the sympathy of the Milton sisters. If she hadn't stirred up the hostility between Sheriff Baskin and the community, she might have been forever ignored, left to starve with her brother and sister. Aside from an arguably happy ending (happy, at least, in that the protagonist's family doesn't freeze and starve), there is very little redemption along the way in Winter's Bone. Hearts don't seem to soften, so much as they seem to temporarily yield to danger and leverage. Teardrop is notably elevated by the plot, going from a negligent addict to a protector and avenger, "showing his salt," as it were. But the meth-ridden mountain community remains brutal and impoverished, and Ree's mother never emerges from her torpor. And especially, there's the fact that we never learn the details of Jessup's death: who killed him, what enemies he made, what his final months were like. Whether he tried to protect himself, whether he appealed to his brother or his mistress, whether he ever really trusted the Sheriff. Whether he had any thought of his family's safety. The story seems to intentionally turn away from this death, allowing us, the audience, to remain curious and unfulfilled, just as Ree must be as she tries to continue her life. Her father is dead. She knows next to nothing. And so, two Southern Gothic stories, each with a patriarchal figurehead who oversteps his bounds, who misuses his insider status and pays the ultimate price. 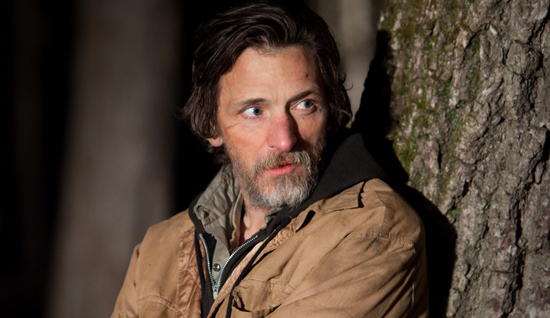 In a sense, Jessup is Doyle, and in Winter's Bone, Karl's job has already been carried out by some unknown assailant. And each film, in its climactic moment, turns away from the most brutal deed and looks sternly at its context, its causes and its aftermath. Because in this world, there is no use in being suddenly shocked and disturbed by a murder, whether just or unjust. Shock distracts from survival, and in the face of death, life keeps moving along. I watched a series of films associated with the Southern Gothic family; I'll be writing pieces on a few of them over the next week or so. Here's the first one. It's a strange, lucid, uncomfortable movie, mythic in its banality. Seeing the incredible central performance, by the director no less, and knowing that it flowered out of a short film he worked on, it's easy to see this as a film born entirely of inspiration, the inscription of a restless muse's voice directly to the celluloid. There's something elemental and absolute about each of the main characters, and yet, their world feels unvarnished and authentic. This is Billy Bob Thornton's Sling Blade. Unlike some other films in its family group, Sling Blade was not the result of a lark by the filmmakers. Both Thornton himself, and George Hickenlooper, the director of the original short, were raised in the Bible Belt -- according to good ol' Wikipedia, Thornton grew up in a shack without running water or electricity. This deep-South lineage shows in the film as a stark but sympathetic realism, an obvious love for deep Southerners and their landscape, in all its virtues and eccentricities. 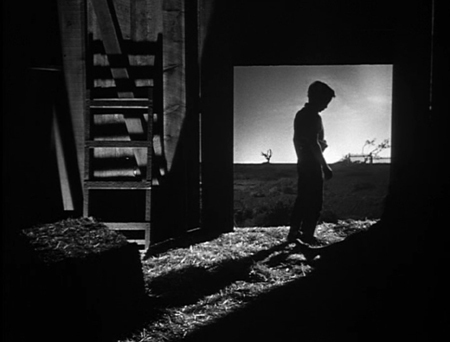 This landscape is soft and pleasantly inert, like Karl seems to be; if it wasn't for Doyle, this film would be as calming and pastoral as a pasture in late Spring. The architecture seems porous and sunlit, crafted by randomness to let the breeze pass through easily. People come and go at all times, stopping by the mechanic's place, walking over to the dollar store, and yelling at the band from the next yard over. The community is so close-knit, there almost no such thing as an unexpected visitor -- anyone can decide to appear pretty much anywhere, at any time. The only exception, of course, is Karl's unnamed father, who occupies Millsburg's only impregnable fortress, packed with refuse, apparently forbidden, weeds grown high... for this fallen patriarch, every guest is unexpected... especially his estranged son, whose very existence he adamantly denies. Having been thus disowned and exiled, Karl takes on a number of archetypal roles, without ever fully fitting into any of them. Like the Trickster, he comes from outside the community, and he seems to infect and undermine it; it is his status as an outsider that allows him to take on his most important narrative function. However, if he's a trickster, he's the least clever of all his ilk, leaning on pure honesty and lack of pretense, rather than upon strategic subversion of the status quo. In the same vein, he's a father-figure in certain respects, offering a model of morality and kindness and open-mindedness to Frank; yet, he cedes this task to Vaughan at the crucial moment, refusing to become permanently enshrined within the family as a protector and provider. In a certain way, he also fits the messiah/hero archetype, entering the world from a humble beginning, discovering a destructive unbalancing force, and then symbolically sacrificing himself to vanquish it. But as a character, he's too conflicted to be a pure force of justice and/or redemption -- he's dealing with his own demons, vanquishing his own father from his life, and coming to grips with his own history, so much so that his act of salvation seems like a bit of an after-thought. 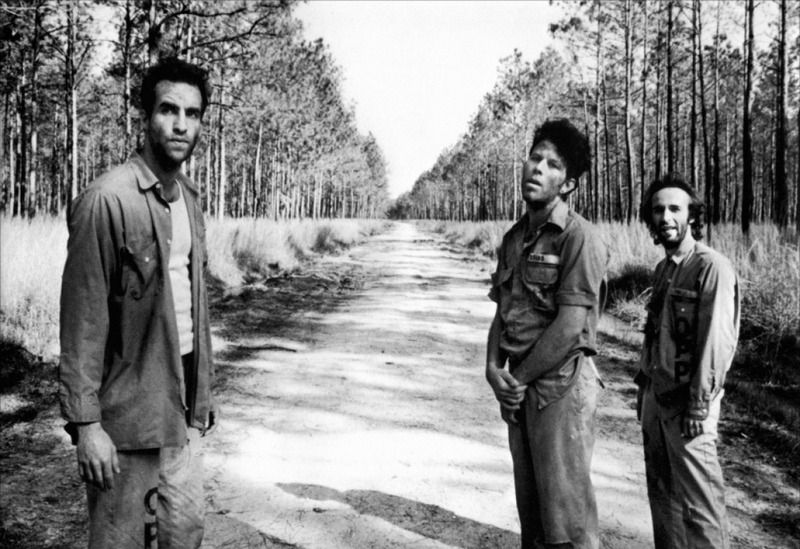 Karl's status as an outsider is one of the thematic kernels of Sling Blade. At the beginning of the film, just after he leaves the penitentiary, his attempts to assimilate are the main dramatic drive. The tension of the locals suggests that assimilation will be the major point of conflict for Karl's story; we end up watching for hostility between Karl and each person he encounters, including his bosses, Frank's mother, Vaughan, and Doyle. Surely somebody is going to stigmatize him, misunderstand him, provoke him at the wrong moment, and he's going to become a pariah... it's the Elephant Man formula, par for the indie film course. And slowly, wickedly, the film overturns this expectation, revealing that the community is actually made up of compassionate, sympathetic people, and Karl doesn't just have vain hopes -- he has an opportunity for a semi-normal life. What Karl proves in this red herring of a dramatic arc is that he can comply with the social norms at work around him. He's gone from outsider to insider... though he's not in charge of a household, he's self-sufficient and respectful. The community clearly values his gentleness, his honesty, and his work ethic. Still, he walks on the edge of this community, cut off as he is by his awkwardness and his spotty history. This theme -- the theme of marginal membership, of outsider/insider duality -- will come up in a lot of the Southern Gothic films. At first, Karl's perpetual outsider stigma seems to be a pure detriment, preventing him from fully assimilating -- but eventually, it becomes his greatest weapon, an ability to follow his intuition and act out instincts that the community has had to suppress to maintain order. It seems like Karl's role in the community is to perform its collective anger in the form of violence, and his passivity and introversion is the film's great, heroic irony. Another of Karl's contradictions: in performing this violence, he takes on an unmistakable Christ-like role. He is the Prince of Peace with a lawnmower blade of justice. 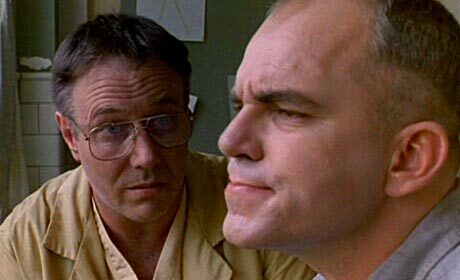 It's easy to correlate Sling Blade with Christian mythology and find a convincing parallel. The asylum is heaven, our home before we're born and after we die, complete with a wise God (Dr. Jerry Woolridge) and a Satanic figure (Charles Bushman). Jerry is the true source of Karl's moral framework, having taught him that murder is wrong, that children should be shielded from the evils of the world, that he can forgive himself for his sins if he takes the time to admit them, and that life is hard but worth living. This moral sensibility is a kind of biblical common sense, learned in the asylum and applied to the outside world, and it seems to come accompanied by a hypersensitivity to good and bad intentions in others. Interestingly, Karl lives a whole symbolic life during his short time outside the hospital -- he has a shy childhood where he discovers junk food and friendship, and then a productive youth where he lives and works at a mechanic's shop. Like any normalized American male, he goes from independent professional at the shop to stable family man at Linda's; eventually he finds love in Melinda and religion through baptism. It's not exactly in order, but he hits all the marks. Having lived a whole life in Millsburg, Karl finally sacrifices himself for Linda and Frank, defying Doyle's presumed authority, and giving up all he worked for in the community. At that point, he returns to the afterlife, where he's shown to have chosen inner peace over the devil's insipid words. What a (hero's) journey! 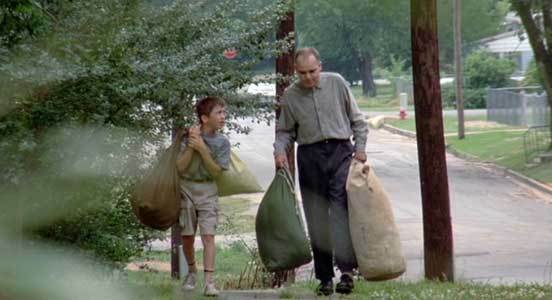 Somehow, despite Sling Blade's insular Southern town colloquialism, these themes take on an epic, sprawling dimension -- perhaps because they echo throughout multiple microcosmic stories. These motifs -- fatherhood and belonging and redemption through sacrifice -- become universal in their repetition within the film, and Sling Blade reminds us (in a very Gothic/Romantic kind of way) that the same perennial human drama plays out in the struggles of each humble human life. 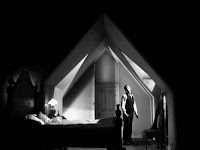 Next, a different Southern Gothic tale, whose dramas are much more contained, more dangerous and particular -- and how its refusal to offer transcendence or redemption, its earthbound fallenness, makes it a uniquely Noirish entry into the Southern Gothic genre. It seems there's a new genre emerging in film, consolidating certain totally-unrelated developments in literature, which is too broad and diffuse for these things to really announce themselves. This is a genre I'd call speculative realism, and I think, though it's barely a glimmer in film history, we can already account somewhat for its beginnings. The two movies that suggest the beginning of true genre identity are Children of Men (2006) and Never Let Me Go (2010), both based on recent books. These represent the plateau of certain trends in science fiction that have been building for a while, and they firmly plant themselves within some boundaries that have been established by a bunch of other movies, as discussed below. And I think there are going to be more like this. I can sense it just over the horizon. The main thing that strikes me about Children of Men and Never Let Me Go is that both are understated films built upon science fiction premises, whose thematic sights strongly diverge from that premise, and instead converge upon broad social themes. Children of Men is about society's fascistic responses to crisis, and Never Let Me Go is about the sacrifices made by individuals in service to the vast, impersonal social order. Of course, there are stylistic similarities between them, as well... understated, gritty palettes, the use of the photographer's eye to capture the beauty of the mundane. But the genre identification is more about the set-up and follow-through. Of course, science fiction has long wrestled with social problems. Zombies, evil artificial intelligences, man-made monsters -- it's all about our enthusiasm and anxiety over progress and social control, right? But going back, very few films engage with broad social conditions like these new sci-fi films are doing, or locate these conditions in individual experience in such a direct, unsensational way. Still, it's not entirely without precedent. Strange Days (1995) is a direct precursor to this cinematic movement, and echoes can be felt as far back as Godard's Alphaville (1965). Terry Gilliam may be considered a direct forerunner, as well, with films like Brazil (1985) and 12 Monkeys (1995). These don't have the strict realist impulses of the Cuaron and Romanek films, but they do have the interest in creating complex social relationships within a speculative setting. On the other hand, there is at least one recent sci-fi film with a deadly realist impulse, but without the social engagement shared by the films listed above: John Hillcoat's 2005 adaptation of Cormac McCarthy's The Road, which is gritty and deadpan (i.e. "realist"), but which handles its sci-fi premise with an intensely traditional hero-myth structure. You might attach Blade Runner and Alien to that side of the genre boundary, as well. It's a central tenet of these speculative realist films that they eschew two frameworks that are usually central to science fiction... first, the mythic hero structure centering on a messianic central protagonist; second, the utopian framework that drives most science fiction to either applaud or condemn human progress. Obviously Never Let Me Go has almost no trace of a hero's journey... if anything, it has the gray struggle of gothic romance, eventually leading to acceptance and resignation in the face of an unsympathetic world. It's also mercilessly uninterested in portraying any sort of utopia or dystopia. It portrays progress from the perspective of progress's victims, and it does not sit in judgment of this system, sanctioned by the society, which is so cruel to a chosen few. Children of Men is a little more heroic, and a little more openly dystopian, but it still downplays both of these frameworks. It's only about a dystopia in so far as it shows a society that's broken down in an attempt to preserve itself... unlike 1984, there's no sense of sinister dominance or absolute control. Rather, the whole film shows entropy and decay winning out over the cynicism of a fascistic government. And as a hero, Theo doesn't win any mythic warrior awards. He protects his charge, as he's been hired and obligated to do, and he's admirable in his loyalty, but his role as a protector is purely secondary to Kee's role as savior of the human race. The film's quiet, unsentimental ending shows us just how insignificant Theo was... how he was essentially an observer, a dedicated servant, and that the true work of saving the species is a much longer journey, of which we have seen only a fragment. This both connects and distinguishes these films from some recent close relatives. In particular, I'm thinking of District 9 (2009), which certainly starts out as a speculative realist film, a science-fiction film transplanted into a very modern morally-ambiguous social ecosystem. As promising as it was, District 9 eventually mutated into a heroic rebel fantasy, with the transformed Wikus as the token boundary-crossing hero figure, and the apartheid South African society as an oppressive dystopia. Stylistically, the pseudo-documentary format of the film was also too self-conscious to quality as realist. In all traditional realist filmmaking, the eye of the camera is purely transparent, built to preserve continuity and present the characters in a direct, lucid style. Gareth Edwards' debut feature Monsters (2010) has a similar profile to District 9... it's built around an interesting speculative social reality, but eventually becomes about the main character's acceptance of the hero/savior role, his personal journey of enlightenment, and the traditional romantic love story that ensues. How about Duncan Jones' Moon (2009)? Another contender, but in that case, I think the setting was too remote from the everyday social reality that it was working to establish. By taking place in an isolated space station, and by adopting certain surrealist tropes, Moon became a direct psychological investigation, more of a cerebral rubik's cube, rather than a film of human experience shot through with social reality. What connects and differentiates Children of Men and Never Let Me Go is hard to pin down... the sense that they're taking place in an unpredictable, unplanned outside world, controlled by ambient social and political forces... that much of the action is improvisatory and reactive, and that "fate" and "destiny" are conspicuously absent... that ideals and ethics are a loose, unreliable veneer over a wilderness of id and instinct... all these implications are present, and important to the soul of the genre. There IS one other film that I think belongs squarely in this genre space, and it significantly precedes the two recent ones I've mentioned. This is Michael Haneke's Le temps du loup / The Time of the Wolf (2003), and though the premise isn't exactly high-concept (society breaks down for some reason and everyone becomes a refugee), it does pursue that premise with a relentless eye for the social realities of a struggling populace. It watches like a case-study of what would happen if you took a rural society, with its expectations for comfort, security, and civility, and hit the reset button on its hierarchies, power structures, and property ownership. It doesn't hurt that it's beautifully poetic and humanistic at its critical moments. It is a film that will stick with you. There are a few that might qualify that I haven't seen yet. Spike Jonze's Scenes from the Suburbs might be a great reference point for this emergent genre. I won't know until I get to check it out, though. I think it would be lovely to see Jim Jarmusch take on a serious science fiction project... this would be a great area for him to contribute some work. And I can think of one or two novels that would be pretty sweet if you adapted them as speculative realist films: how about Ursula LeGuinn's The Dispossessed, for instance?